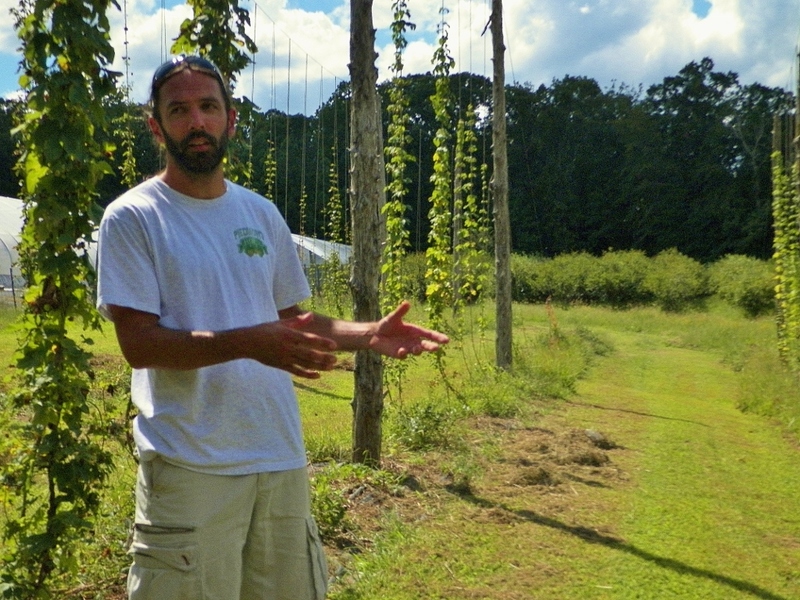 He operates Piedmont Hops, LLC in Mosely along with Steve Brown, who runs the other part of the business at a site located in North Carolina. 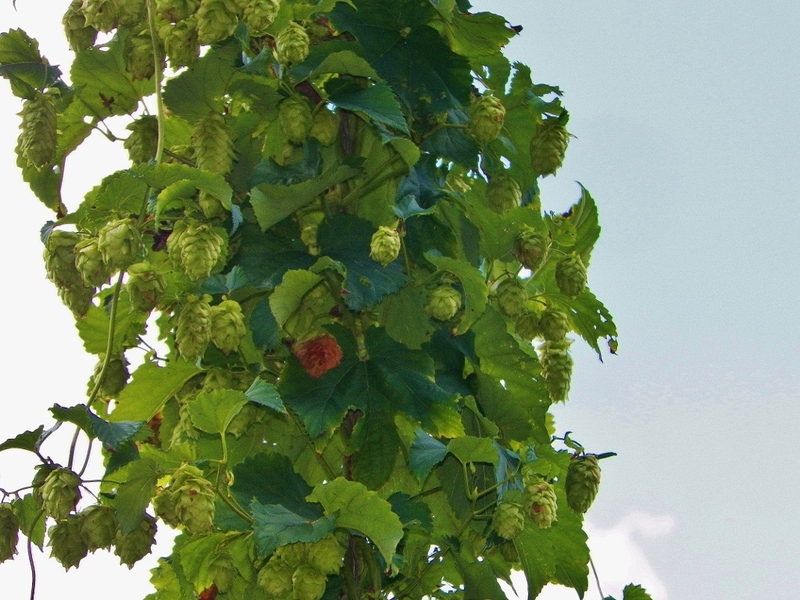 David and Steve began growing hops for their personal use a few years ago, but the project quickly grew. Today, they supply hops to breweries who strive to include more locally-grown products in their craft beers. Growing hops in central Virginia has its challenges. Most varieties are designed to provide maximum yields under the day lengths, temperatures, and growing conditions of the states in the Pacific Northwest, where most of the hops production in the U.S. occurs. 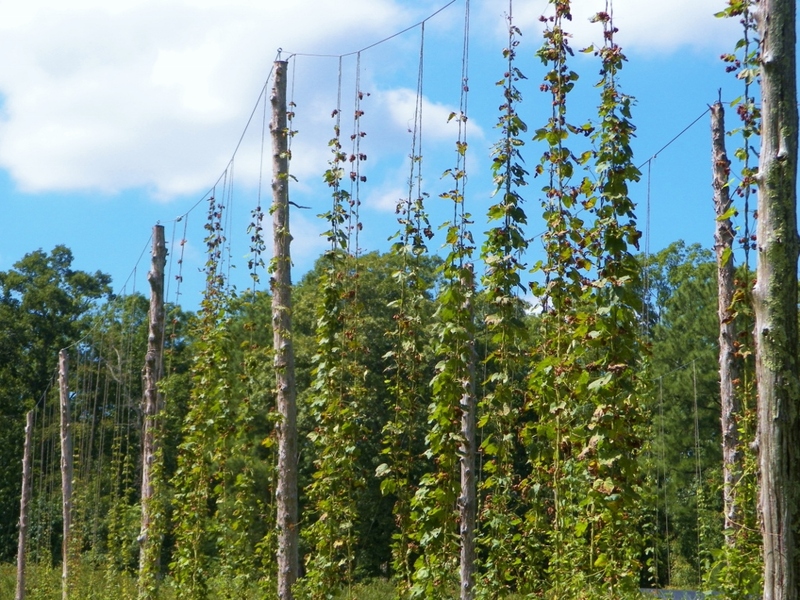 Why are there so few hops growers in Virginia? For one, growers in this area must select varieties that are better suited to Piedmont weather, soils, and growing conditions. 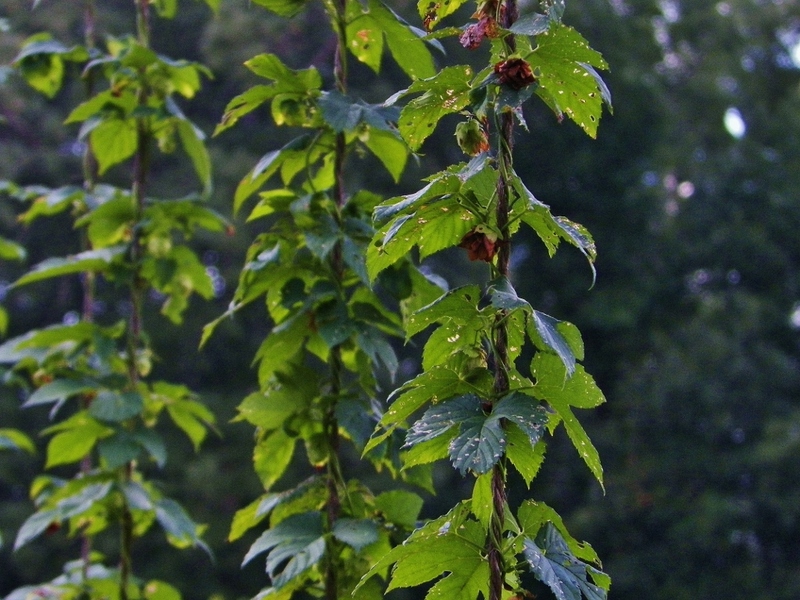 Furthermore, the warm, humid summers in Virginia can be particularly conducive to the growth of certain diseases that prey on hops. 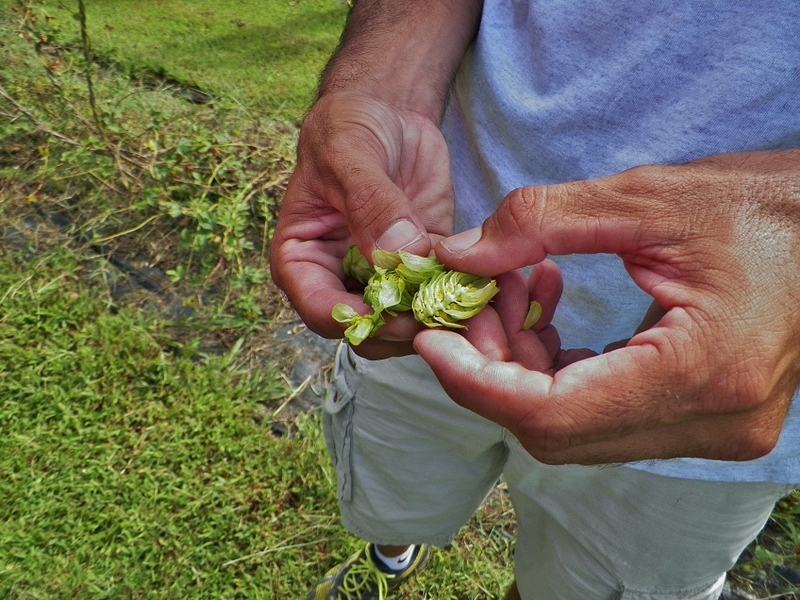 For these reasons, David and other growers have turned to help from the North Carolina Hops project, an effort run by North Carolina State University faculty and specialists. Research data from this project helps Virginia and North Carolina growers choose varieties and growing practices that suit this region. 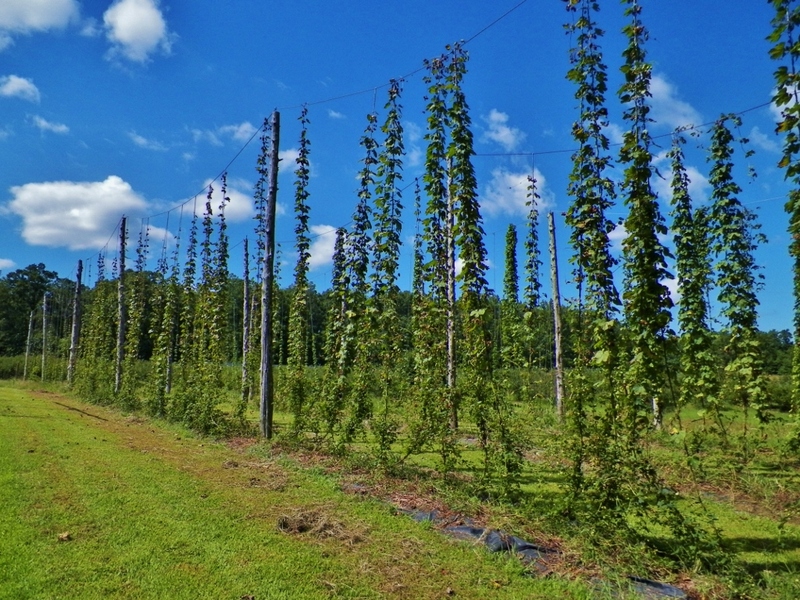 If the market for local hops grows in Virginia, plant breeders may be able to make more progress towards developing varieties that suit local needs and resist local diseases. David has enjoyed trying different varieties. This year, he had Cascade, Chinook, and Nugget. Next year, he plans to add a few more varieties and increase the total number of plants in the Virginia and North Carolina yards. His hops grow on bines—not to be confused with vines—that climb up strings supported by wires and cedar posts. New and aspiring hops growers may find that these trellis components are responsible for a large percentage of the input costs for starting a yard. Furthermore, growers need materials like drip tape for irrigation and weed cloth to start a yard. Labor is also a costly input, as it can take an hour or more to harvest one pound of hops by hand. Harvest typically occurs in late summer, although certain varieties differ. 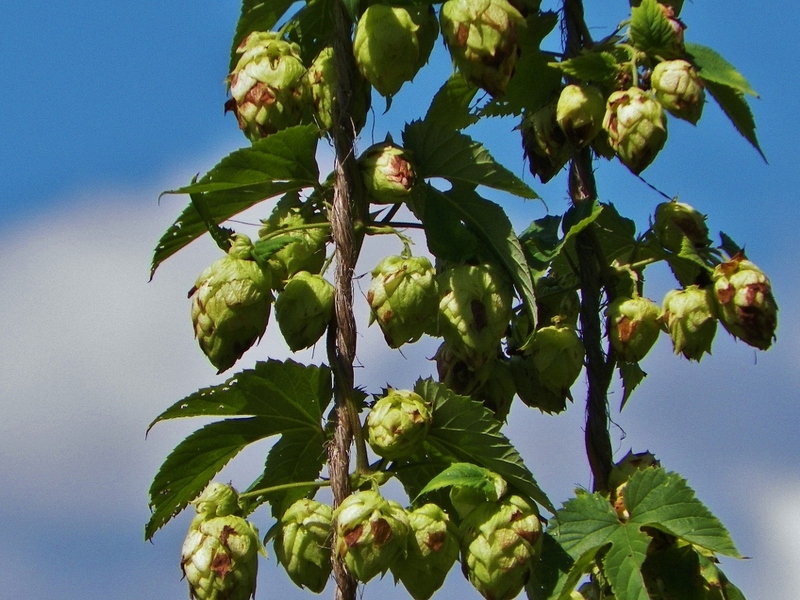 During the spring and summer, growers will spend a considerable amount of time working on weed control, training hops to climb the lines, and repairing any broken supports. Despite the challenges, hops production has been a worthwhile venture for David. 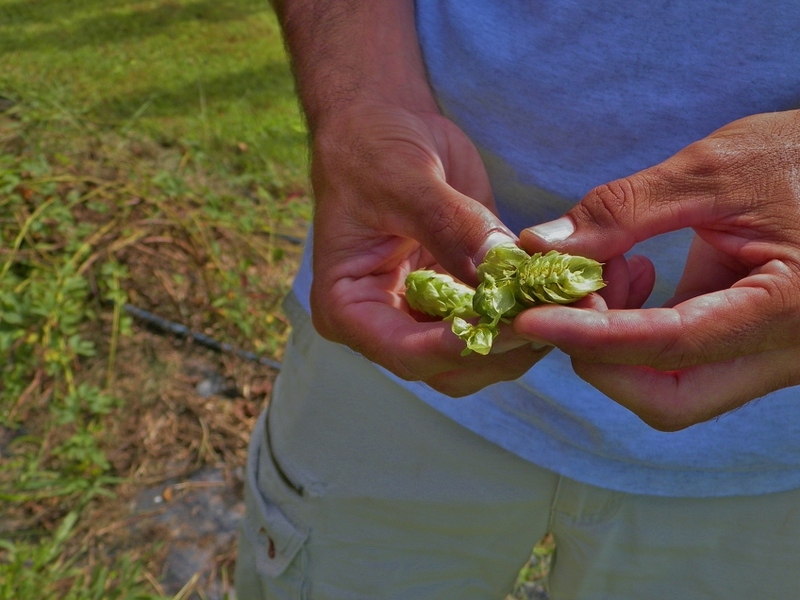 He has had the rewarding experience of watching his hops go from the farm to the consumer. Furthermore, as is true in most business ventures, David has found networking with others to be a valuable use of his time. He has helped other growers with their yards, and in turn, growers have visited his farm to harvest hops and swap ideas. Meet J and J Treeland. Meet the 2016 Fall Festival at Richlands Dairy Farm. Meet the Tidewater Agricultural Research and Extension Center. Meet the Amelia Demonstration Garden.